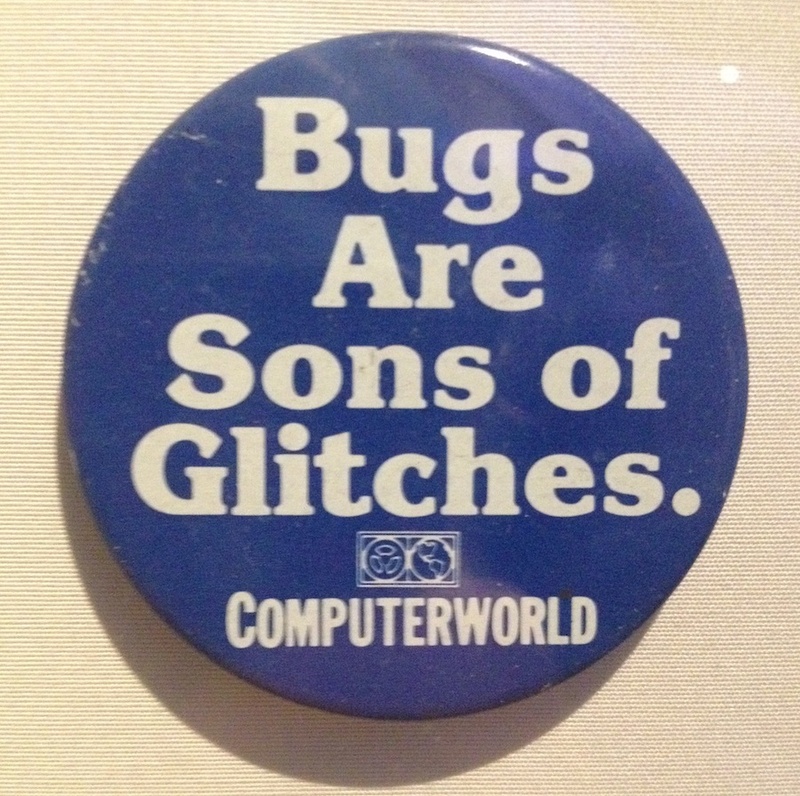 Pin from the Computer History Museum. Photo by the author. There is no Hollywood sign welcoming you to Northern California. Silicon Valley feels quieter, less glittery than Southern California. Instead of the Getty, the city of Mountain View has a Computer History Museum educating visitors on all things digital. Filled with software artifacts, both a Google car and bike, ancient computation devices and early forays into artificial intelligence (including a Furby), it’s the sort of place that asks you to linger a while, to take in slow bites. We rushed through it in the 40 minutes before closing. Even so, we found some choice bits about the military’s involvement in computer decryption prototypes. We browsed through documentation of the commercial fervor that drove widespread adoption of the PC. Fun fact: In the ’70s, marketers tried to get luxury consumers to purchase a dual computer/kitchen counter set. It doesn’t sound like the idea ever took off. Plaque from Boise, Idaho. Photo by the author. 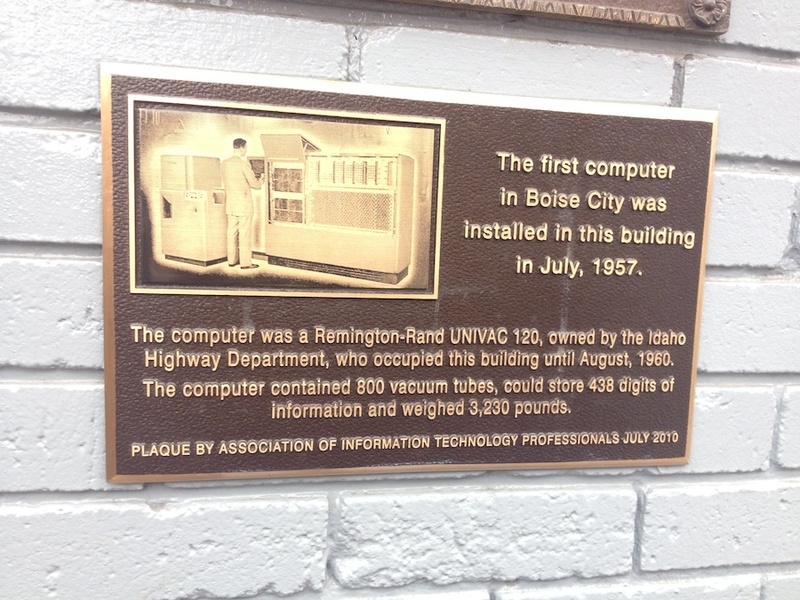 On a detour through Boise, Idaho, we spotted a plaque commemorating installation of the “first computer in Boise City” in 1957. It was a clunker, with “800 vacuum tubes, [that] could store 438 digits of information and weighed 3,230 pounds.” We saw several of these room-sized computers in Mountain View. Many are still operable, but they require a team of engineers to poke and prod and coax them to life. 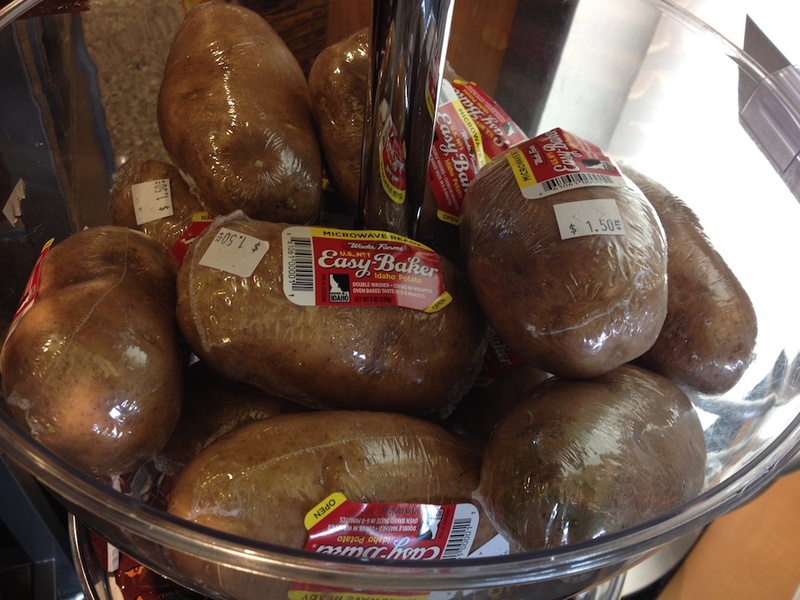 Famous Idaho potatoes at the airport. Photo by the author. We made our way to San Francisco. The city has an elegance all its own that always fascinated me as a child going into town. The architecture is consistently newish, styled after the 1906 quake razed the city. Coit Tower, murals, rambling Painted Ladies and bungalows alike, all stand out confidently and attest to the true color of the city. Fog rolls in every night by the Presidio where my parents live. When you’re walking late at night, the constant grumble of foghorns from the Golden Gate Bridge calls to mind steamboats and the city’s old world maritime history. 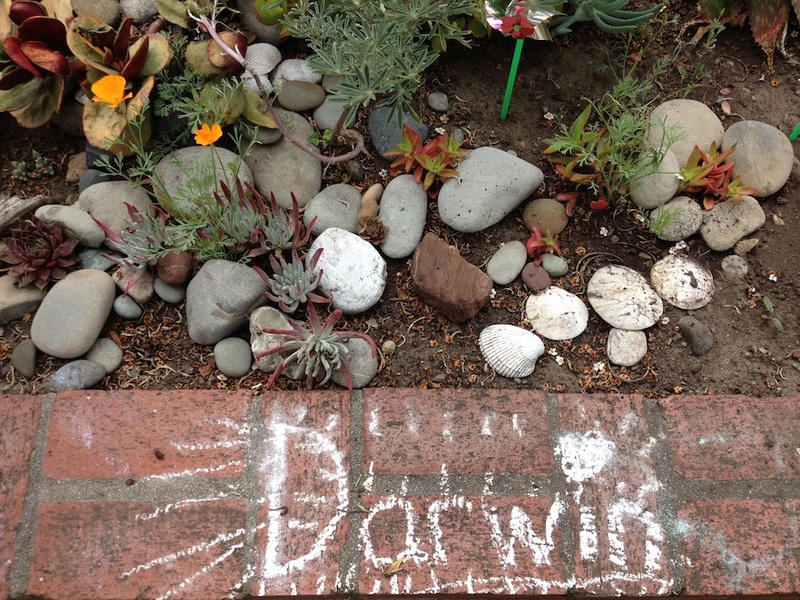 San Francisco garden. Photo by the author. When you move away from Northern California, as I have, and then come back into its welcoming arms from time to time, it always feels a touch more mysterious upon return. Creative, culinary, and technological experiments constantly change the weave of the city’s fabric. San Francisco is installing protected bike lanes, pedestrian barriers and parklets that make the streetscape greener. These ever-changing road layouts challenge even a seasoned San Francisco driver. Dining trends – burritos filled with Indian food, for example — take their cues from food trucks, youth culture, and counterculture. Many of the city’s most popular restaurants now boast of accompanying coffee table books filled with sun-kissed photographs of their recipes. You can choose the “Northern California” brand you want to engage: the book, the movie, the social media. Silicon Valley workplaces coax productivity from their employees with dinners, massages, and beer tastings. The lines separating home and work, commute and getaway are increasingly blurry. 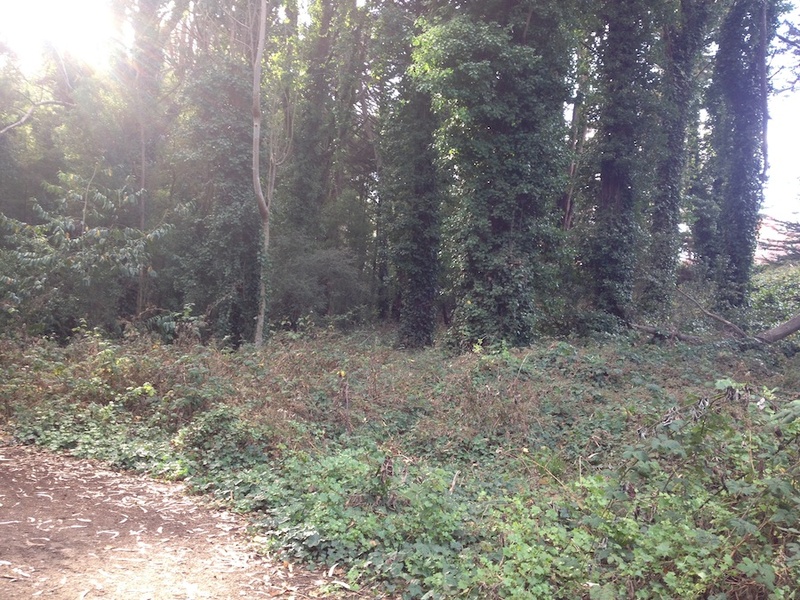 The Presidio. Photo by the author. The Presidio’s Walt Disney Family Museum has in its collection one of the original cameras used to create the studio’s animated classics. The camera is monstrous: a behemoth whose scaffolding holds levers, lenses and long strips of original artwork at the very bottom. Shooting from above, the camera (once upon a time) would zoom in and pan around on the hand-painted film to create the illusion of a sweeping panorama; still more images and characters could be layered above the vista created. Like a photoshopped image, that camera brought together and blended layers to create an illusion of a scene. Northern California is a bit like that, a composite scene made of layers, one atop the other — analog, digital and cultural. California native Chloe Nelson is an art historian and musician moonlighting as a curator of Americana. She’ll be sending in photo-essays from time to time for a Road Songs series on the mnartists blog as she drives across the country, harmonizing and honky-tonking in country outfit Tanbark. She tweets @chloefnelson.